Easy Ways To Generate Passive Income Through Mobile Apps Workshop ! ITS PROVEN! Income derived as soon as you create your Mobile Apps! Mobile Apps Workshop is a training program that is easy and simple for you and those who want to earn massive passive income easily without requiring the knowledge of computer programming. "There is only one way to describe how I feel now____EXCITED!!!" "Kartina's explanations & guidance is always frank and clear_____ Thank you." "The preview gives a very clear overview of the system & its aim". "Especially useful to be able to 'make' a simple app, rather than just theory"
"Facilities - easy parking, clean room, refreshments." "I have a new understanding on apps making. It was an excellent workshop with great practical exercises." "Very happy with apps income Oct - USD41, Nov - USD165, Dec - USD550, Jan - USD1800. Expected Feb USD3000. Thanks for sharing and guidance. Without your help will not reach this far. Really help me and Fanny a lot with more to come. Thank you from both of us". "Jude thanks for introducing this workshop, so far this workshop have produce me the highest passive income in a day. Also credit to Kartina and also Thomas for sharing the knowledge and my fellow classmate and this group members for the support. I hope it will open door for more opportunities to come. Gambate Sabah!!!"" I'm happy to discover Mobile Apps. With Mobile Apps I'm able to create mobile apps within less than an hour. After joining 2 months creating mobile app, I finally able to achieve a passive income. My highest income a day was USD130!!! Trainers -Very very helpful. Always ready to help. "Its very interesting workshop. To me doing apps in this way is much better than programming. I did before it was so difficult to complete one app, but this way of doing apps is faster"
Learn effective methods to create mobile apps in the creation of games , selling products and services on Apple iOS Itunes AppStore from the comfort of your home. Mobile Apps Workshop provides life time support & assistance to all students that attend our workshops. # 1 best-seller in Malaysia PROVEN to produce the most number of successful entrepreneurs in Mobile Apps ! - You want to build mobile apps for financial freedom with your family, but do not know the right track because too many SCAM on the Internet that aim to cheat your money. - You want to build a mobile app , but worried you cannot afford to create it, because you do not have the knowledge of graphic and you're not a creative person . - You have an idea of ​​the products for sale on the site IOS Apple AppStore " but fear the product or service is not in demand. -You want to build a your own mobile app / mobile apps but ... you're not an IT expert ! You do not know what it takes to build mobile applications , position it in Apple's AppStore " and do not know how to accept payments on the Internet . - You want to start , but you worry about the cost of starting and building a mobile app / mobile apps is very high. - You have an idea of ​​the products or services of interest to sell , but you do not know the best way to build a mobile app to do this fast . 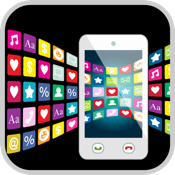 Mobile App Hands-On Workshop will reveal the smart way to build mobile app on smart phone and give you a great competitive edge over other competitors ... with a simple, cheap and fast solution.